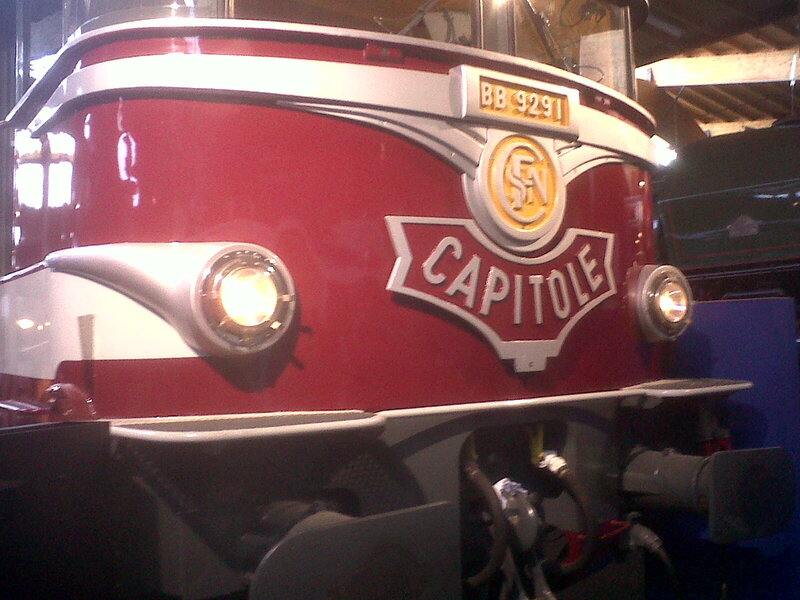 "Le Capitole" stirs my imagination. Although a person of modest means myself, I love the idea of the extravagant lifestyle especially when manifested through travel: the private planes, the gleaming white yachts lined up in the harbour in Cannes etc. 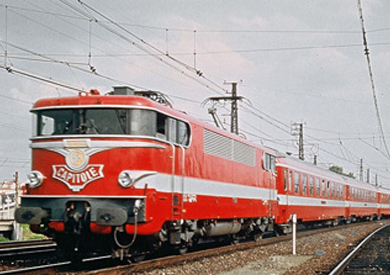 Le Capitole was the creme de la creme of French express trains connecting Paris with the south of France and ultimately those famous Mediterranean locations. And, I like the idea of a model of this train crawling slowly into my station all ready to take on board the next band of well-heeled passengers for their luxury journey from the dark city to the sunlight of the south. 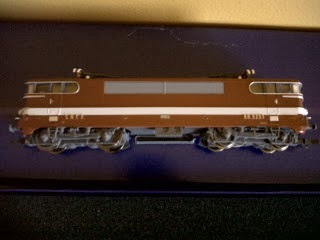 Very avariciously I had to have it - well the HO scale version of it - and very rashly and stupidly (and typically) I ordered the Marklin version from Amazon USA. Unfortunately, (and typically), I did my research after I had ordered it. Just after I'd ordered it!! So, even before the train arrived, I was in possession of the grim truth that the Marklin version of Le Capitole was designed to run only on Marklin's bespoke 3-rail track. Disaster. Fortunately, and without a huge amount of hassle, it was possible to return it across the Atlantic and get my money back. In the meantime, and behaving as if I was John Paul Getty (the one with both ears) I ordered from France the HO version built by ROCO, the Austrian manufacturer. 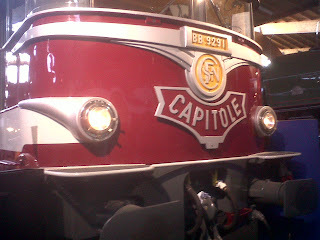 And, a few days later, the ROCO version of Le Capitole arrived. 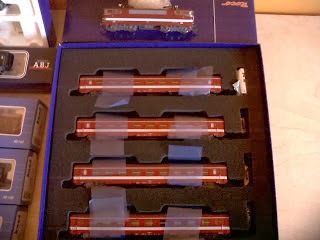 As with everything else, it will have to remain in its box until I have learned how to fit a DCC chip into the locomotive. And, here is a picture of the real thing. 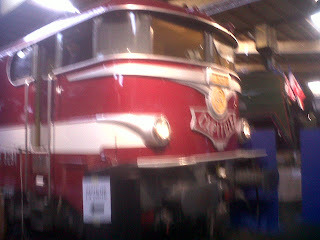 And two photos of the actual locomotive taken when on our recent visit to the Cite du Train Museum in Mulhouse - quite a beast up close.